As the nation engages in a political and partisan debate over racism and gender discrimination, the real culprit, the news media, is actually fueling both. The news media has historically been the main impetus in fueling racism and gender bias in America, something that many protestors are ignoring for political reasons and convenience. It’s not comforting to admit that most of the racism in America is fueled by the news media, which protestors rely on to promote their on partisan antagonism. The truth is that the news media has become a partisan political organization in America and they are engage in a war not only against President Donald Trump, but against the traditional enemies of the media’s political agenda, minorities, Muslims, Arabs, Palestine, Third World nations, and Blacks, Hispanics and Asians. Why does the mainstream news media promote racism and gender discrimination? Simply to give them a foundation to stir the pot and appear to be defenders against racism and gender bigotry. The media fuels the racism and discrimination so that it can empower itself to act as if it is championing the fight against racism and discrimination. It’s a contradiction that is obvious to see. The media fuels racism and bigotry by embracing stereotypes and producing “news” that reinforces public fears about minorities, Blacks, Hispanics, Asians, Arabs and Muslims. 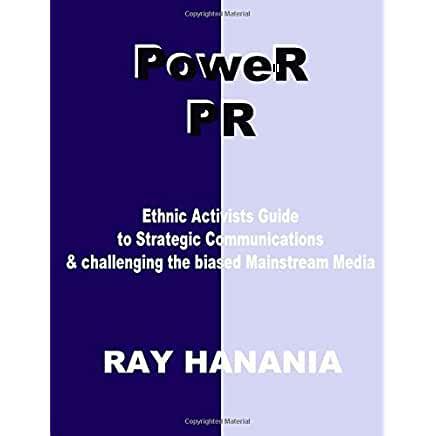 The racism is particularly acute against Arabs and Muslims as Blacks, Hispanics and Asians have come together to push-back against media bias through organizations like UNITY: Journalists of Color. For many years, UNITY has sought to protect its dominion, resisting expansion to include Arabs and Muslims. But in recent years, UNITY’s leadership has become more progressive and principled and they are supporting the expansion of their organization to include more Arabs and Muslims. Arabs and Muslims have their own journalism organizations, too, but these organizations have been pushed aside by most journalism organizations and by the mainstream news media itself. The reason is the mainstream news media is fighting against the hiring of Arabs and Muslims to their ranks. Part of this media war is driven by the political debate over Israel and its brutality against Palestinians. On the one hand, the news media appears to champion the rights of “Muslims,” but when you closely examine the media’s definition of “Muslims,” you recognize that it is narrowly defined as Muslims who are “non-Arab” and disengaged from increasing criticism of Israel. Arab Muslim organizations are ignored by the mainstream news media. This act of marginalizing Arab rights in America is a form of racism and discrimination by the news media. Excluding Arab voices from the media protects the partisan pro-Israel nature of the American news media. Although there are more than 10,000 journalists working in news organizations around the country, there are only about 100 fulltime American Arabs in journalism positions, most are precluded from reporting about American Arab and Muslim issues that venture into the controversial area of criticism of Israel. One of the most powerful sections of the news media is the opinion commentary that the news media produces in newspapers and in the broadcast media. The media severely restricts this to non-Arab columnists and commentators, but allows for unrestrainted and uncensored criticism of Arabs, Arab-Muslims and Palestinians by pro-Israel writers. Additionally, while the media claims to encourage its reporters to share their experiences, reporters who are Arab or Muslim are often prohibited from writing about their identities when they contradict propaganda produced by Israel. Palestinian columnists who challenge Israel’s government atrocities and misconduct are banned from the pages of newspapers. In contrast, Jewish and Israeli columnists, and pro-Israel columnists who are not Jewish, are widely published and distributed in the mainstream news media. That results in a “debate” that is often one-sided where two pro-Israel columnists might debate the Israeli war on the Gaza Strip, for example. Although there may be criticism of Israel’s policies, the debate is severely limited to prevent writers from exposing Israel’s true level of violence. Ironically many protest leaders only care about racism when it conforms to their political notions. In other words, racism against Palestinians, Arab Muslims and Arabs as a whole, is a non-issue to them. Those issues are not permitted to become a part of their issues platforms. But while ignoring racism against Palestinians, Arab Muslims, and Arabs as a whole, they will campaign against racism directed at others. And the news media will accept that red-lined war on racism as acceptable. Media hypocrisy is often accepted by the protestors in order to use the news media to support their narrow battles. For example, the news media often complains about the spending and salaries and incomes of elected officials arguing that the public has a right to know. But the news media, which has a direct interest in the day-to-day activities of government through corporations that partner with government and are regulated by government that ironically are the owners of the major news media. Yes, the news media is owned by partisan major corporations that rely heavily on their relationships with government. Yet that relationship is often protected by the Constitution’s First Amendment. The First Amendment wasn’t intended to allow the media to become a political organization that influences the government, but it does. That’s why it is so hypocritical to listen to major news media personalities point fingers of shame against public figures while never disclosing their own levels of hypocrisy. The news media constantly criticizes public officials for nepotism, the hiring of relatives to jobs. But nepotism isn’t the real problem. Qualification is. And the truth is that nepotism is more rampant among the news media than it is government. The issue of salaries is also a major issue for public officials. The money does come directly from taxpayers and the public has a right to know who that public money is being spent. But oftentimes, the news media will use salaries and wages as a convenient weapon to bludgeon their public critics, even though these same reporters make far more money than the government officials they shame and question. Remember, these journalists work for media that is owned by major corporations that have a direct interest in the operation and policies of government. The airwaves belong to the people, but they are reserved for the use of Radio and Television media corporations and most members of the public are prevented by rules and regulations endorsed by the major media from establishing their own broadcast stations. Another area of media conflict is in Cable Television which has consumed the so-called “free” public broadcast stations that were once broadcast for free but that the public basically now must pay to obtain. Government works with cable to create mutual financial benefits and programing, and prevent or restrict to obscurity public criticism of government and public criticism of the news media itself. According to writer Michael Snyder, the news media was owned by 60 corporations back in 1983. Today, he writes, the news media is owned by six major corporations. Snyder writes, and I agree, that the priority of these corporations isn’t to bring the “truth” to the public, but to make money. And that leads us to the hypocrisy of the reporters themselves who point their barbs of criticism from their Ivory Towers of privilege and media aristocracy. CNN Anchor Chris Cuomo, of the political Cuomo dynasty that he helps protect, makes “only” $2.5 million. Chris Cuomo is the son of former New York Governor Mario Cuomo and the brother of current New York Governor and anti-Arab racist Andrew Cuomo. This list was detailed at TheRichest.com in 2014 and the salaries could have changed, probably for their benefit with increases. The bias in the news media is outrageous. The mainstream news media hypocrisy is the real cancer in America. Allowing the mainstream news media to define the issues for Americans and to manipulate morality based on their political preferences is even more outrageous. THIS POST HAS BEEN READ 5319 TIMES SO FAR. THANK YOU!